This past summer my husband went to Alaska on a fishing trip with the boys. It was a week of getting up at the crack of dawn to go out on a boat, hoping that one or, ideally, all of the men in the group would catch something. This kind of vacation is not my cup of tea (alarm clocks and vacations don’t mix) though I do like to keep him company when he casts a line on the beach near Half Moon Bay. Here, because our time on the beach is more about being near the water and less about actually fishing, we are happy if we come home with a single, small surf perch. In Alaska, my husband and his friends did very well. They caught their limit in salmon each day and my husband took the prize for reeling in two big catches–one 82-pound and one 42-pound halibut! At the end of his trip, he met me at the airport with a cooler full of his catch, filleted and frozen, with a big smile on his face. Even after giving some away, we feasted on grilled and broiled salmon all summer with still a few more pieces leftover before I must return to my market’s fish counter. One day, arising out of a craving for then-unavailable crab cakes, I made salmon cakes instead. They turned out so well–full of bright flavor from fresh herbs and lime juice, bold from Dijon mustard and with a light, crispy crust covering the delicate patties, thanks to a thin coating of panko bread crumbs (a technique I borrowed from America’s Test Kitchen). What’s great about this recipe is that the ingredients are always available in my kitchen so it’s not necessary to plan ahead to put the cakes together. Chopping the salmon in a food processor, combining the chunks with the other ingredients, forming the mixture into patties then frying them takes less than thirty minutes. Our favorite way of eating these salmon cakes is with a simple salad with homemade lemon-Dijon vinaigrette but when one day my husband and I both had a craving for hamburgers, I reheated the leftovers, served them on toasted bread, topped with lemon aioli and sliced avocado and called them burgers. We never missed the beef. 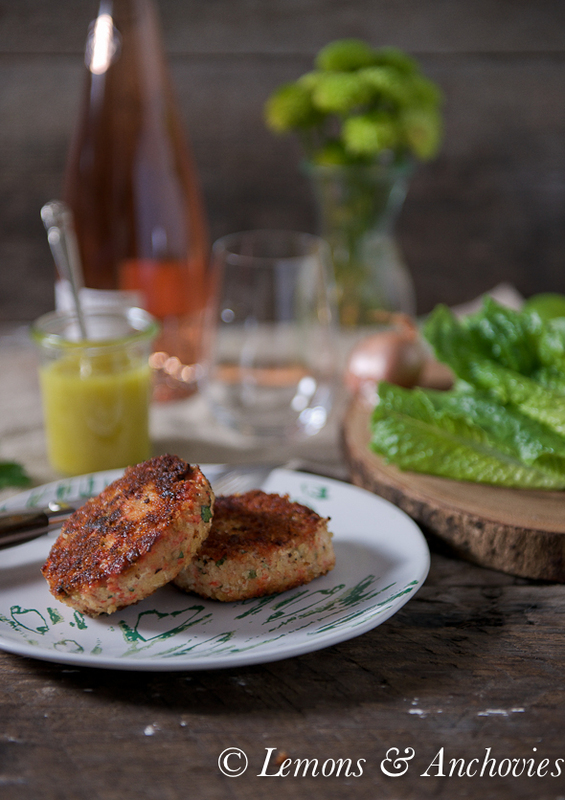 Looking at the few pieces of salmon we have left in the freezer, our supply will run out long before we have our fill of these truly tasty and satisfying salmon cakes. I promise you won’t be disappointed if you give them a try. There's everything to love about these salmon cakes--they're easy to throw together and very versatile. Great as a light dinner with a salad, perfect as a salmon burger or for serving as an appetizer with lemon aioli. Using a food processor, process the salmon until coarsely chopped into roughly ¼-inch pieces, just a few pulses. Transfer to a mixing bowl. In a smaller bowl, combine the 4 tablespoons panko, parsley or cilantro, mayo, Old Bay seasoning, lime juice, scallions, shallot, mustard, salt, pepper and egg. Stir until well combined then add to the chopped salmon in the mixing bowl. 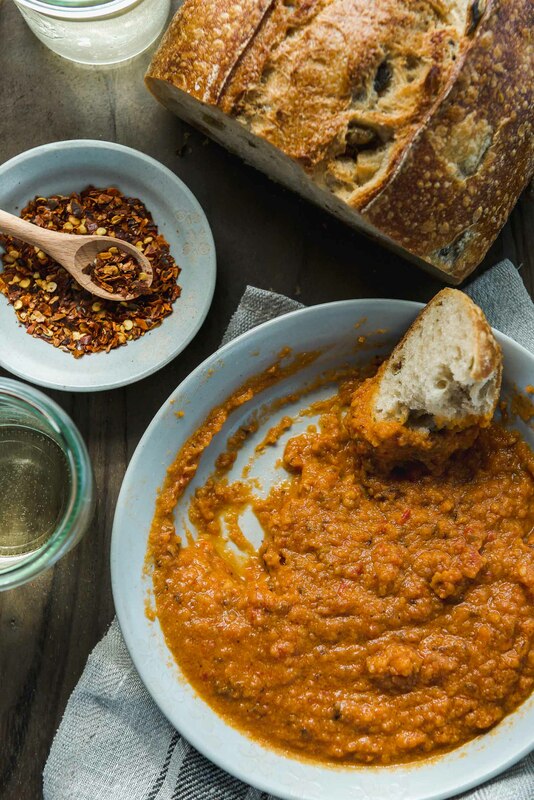 Gently mix everything together until well combined. Divide the mixture into six and form each into a patty. Place the remaining ¾ cup panko bread crumbs on a plate and coat each patty on both sides. The patties will be delicate so a light coating is just fine. Heat the oil in a skillet over medium-high and cook the patties for roughly two minutes on each side. 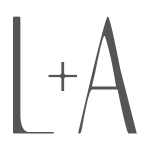 Depending on your stove, if the first side cooks too dark, lower your heat to medium. Drain the cakes on a paper-towel lined plate and serve with a salad or as a salmon burger with your favorite fixings. You say it’s easy to make? I’m THERE! 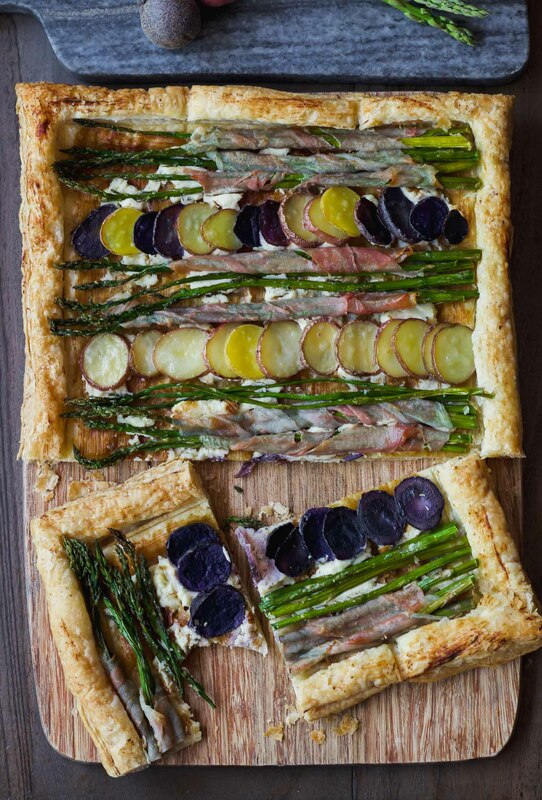 I’m always looking for week night dinner ideas for the family. I shall try this very soon and let you know! Salmon cakes are my all time favorite. Although I don’t make them nearly enough. I want to try your version for sure! Fishing trips are fun but I get seasick so cooking with the haul is definitely more fun to me! 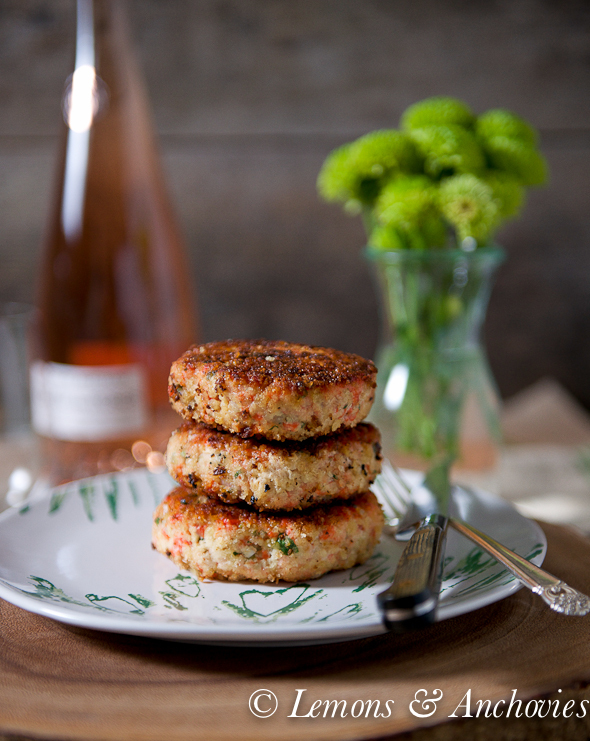 These salmon cakes would make me so happy! 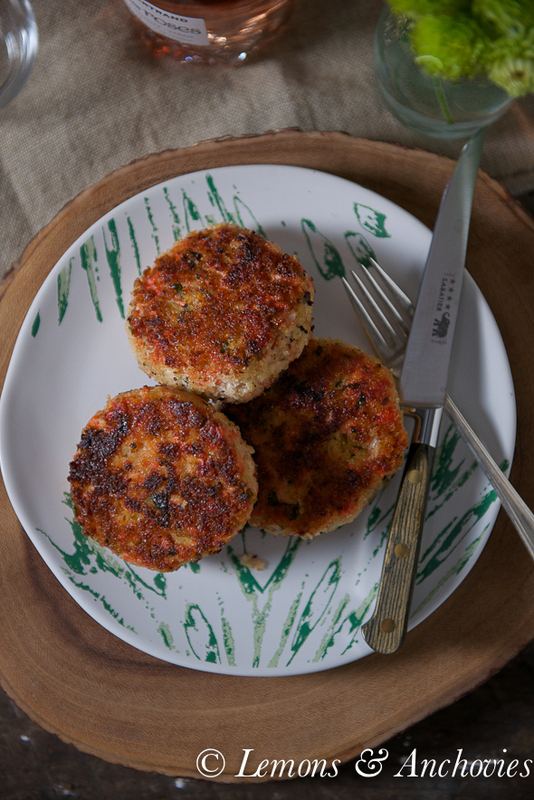 Love how easy these salmon cakes are to make. 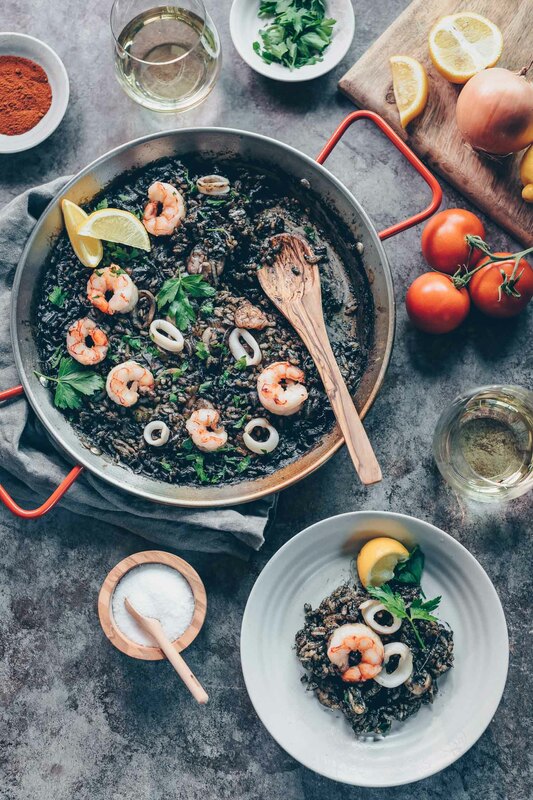 Think they definitely will make a great dinner for tonight, thanks for the recipe! We make salmon at home almost ever week, so sometimes it’s hard to come up with new ideas! I love this one and will definitely try it! 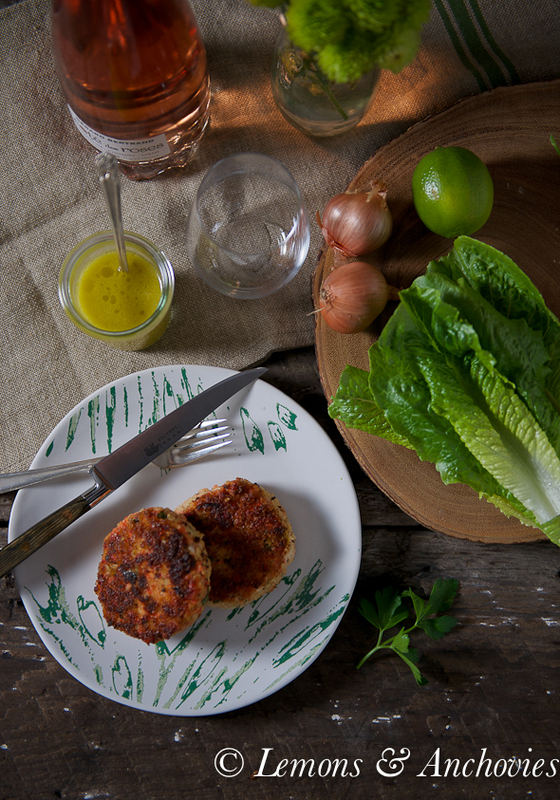 These salmon cakes look delicious and easy to make…thanks for the recipe! I love love LOVE salmon cakes, burgers. Or just Salmon in general! These look awesome! I know fish are bigger in the ocean, but I have a hard time wrapping my mind around an 82 pound fish. What a treat it would be to have so much fresh caught salmon and halibut! Those salmon cakes sound wonderful! Mmm, I love salmon cakes! And yeah, vacation and alarm clock should NEVER be used in the same sentence. My husband would love a vacay like that though! Recently I’ve been craving everything sea food. I love finding a salmon option other than just a broiled filet.